Every time I cook, I incorporate spices not only for their great taste, but for the variety of health benefits as well. My all time favorite spice is turmeric, and it has been shown to help with a variety of health conditions including digestion, arthritis, Alzheimer's, liver function and detox, cancer and more. In India, where turmeric is widely used, the prevalence of four common cancers in the U.S. -- colon, breast, prostate and lung -- is 10 times lower. In fact, prostate cancer, which is the most frequently diagnosed cancer in U.S. men, is rare in India and this is attributed, in part, to the curcumin in turmeric. Curcumin, which is in turmeric, also provides safe, natural pain relief, similar to an ibuprofen (without the risk of negative side effects). Recently, I had a friend suffering with arthritis and I recommended for him to mix 1 - 2 teaspoons of turmeric in a small glass of water and drink daily. In less than two weeks, the swelling and pain he had from arthritis had significantly decreased. If you find that you don't like the taste of turmeric, try a supplement with turmeric in it (available at Kehres Health & Chiropractic) or drink daily mixed with water. Make your health a priority today by incorporating turmeric into your daily diet! 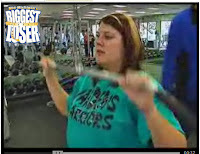 Saginaw and Flint's local tv station NBC 25 hosted Mid-Michigan's Biggest Loser contest this year. Kehres Health & Chiropractic was proud to be a sponsor and supporter of the contestants. The winning team was announced last night, congratulations to Warden's Warriors, Arnette Darby and Stacy Goss! And congratulations to MVP Chris Kovach! The winners received a LifeFactory reusable water bottle, Vitamin D and two months of personalized nutritional counseling from Dr. Kehres. Click here to see more on NBC 25. Are you trying to lose weight? Come to Dr. Kehres' free health class Wednesday, June 15th, 6:30 - 7:30 pm Learn how to lose weight naturally by exercising less and eating more! Sign up by calling 989-607-4322 or email drkehres@kehreshealth.com. 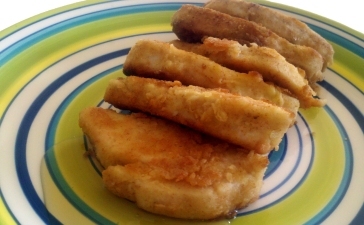 Looking for a quick and easy meal, that is especially kid-friendly? Skip the drive through and make a healthy version of chicken nuggets! Put the coconut flour into a container that has a cover. Crack and beat the eggs and put in another bowl. Heat the stove top to medium and put coconut oil in the pan. Slice chicken breasts into thin strips, dip the chicken pieces in egg, then place in the container with coconut flour and shake. Put the chicken nuggets in the pan, cook until golden and flip. Dip in raw honey and enjoy! There are nearly 36 million Americans who suffer with seasonal allergies. Now there are 35,999,999. I used to have horrible seasonal allergies, every spring and fall I was taking Zyrtec or Allegra. In grade school, I was diagnosed as having allergies to cats, mold, fresh-cut grass, certain types of trees, etc. Then I developed asthma in high school, which also got worse when my allergies did. Today, I don’t have any seasonal allergies… or any allergies for that matter! I can be around cats without my eyes swelling up (I’m still a dog lover though! ), the changing of the seasons doesn't affect how I feel and I have not used or needed an inhaler in years. Not only has it saved me money not having to buy allergy medicine or expensive inhalers, I feel great! Today, I’m so thankful I am lactose intolerant as it completely changed my diet. I eat so much more healthy protein, less processed food, no cow’s milk and lots of fruits and vegetables. Dairy is found in a variety of processed foods, even things like Tostitos lime tortilla chips have dairy in them! Processed dairy is very inflammatory, which causes disease and can increases allergies and asthma in both kids and adults. For more info about why to give up processed dairy, click here. 2. Vitamin D. All of my jobs since high school have been indoors, working on a computer. While I love my job today, I hardly get any sun (aka Vitamin D) during the week. I was fortunate to live in Florida for a few years, where I was able to get more (much more!) sunshine year round than when I lived in Michigan. I have also been supplementing with Vitamin D3 for the past few years, even while I lived in Florida. I take between 2,500 – 5,000 IU a day of a high quality Vitamin D3 supplement (Anabolic Labs is the brand I take). I went from getting strep throat and the flu at least twice a year, to never getting sick… or even having allergies, a cold or asthma. 3. Marry a chiropractor. Just kidding, that isn’t for everyone. Regular chiropractic care has changed my health. My (wise) parents have been taking me to a chiropractor since I was little, and especially after a car accident in college, I learned first hand the value of treating the cause of the problem… not just covering up the symptoms with medicine. It wasn’t until I started getting adjusted regularly where I saw the true scope of chiropractic. Not only could it relieve my back pain, but also a variety of other small issues I had going on such as TMJ, allergies, asthma, hearing loss, ear aches, loss of smell, headaches and more. Moving back to Michigan was the true test with the ever changing seasons, and I’m happy to report that after three allergy seasons I have not had any issues with allergies or asthma (while being 100% drug free). I hope you are able to incorporate at least one of the steps above into your life, as they have truly changed mine for the better. And I’m saving money by not ordering dessert out anymore! I’d love to hear from others who have cured their allergies or what natural cure has worked for you, you’re to welcome comment below. If you have any questions, please contact drkehres@kehreshealth.com. We've been busy the past few weeks supporting great events in Saginaw! On May 8, Kehres Health & Chiropractic was a proud sponsor of the 2nd Annual Adam Puvalowski Memorial Soccer Game. Adam Puvalowski was a Nouvel Catholic Central high school senior when he was killed in a car accident last year. 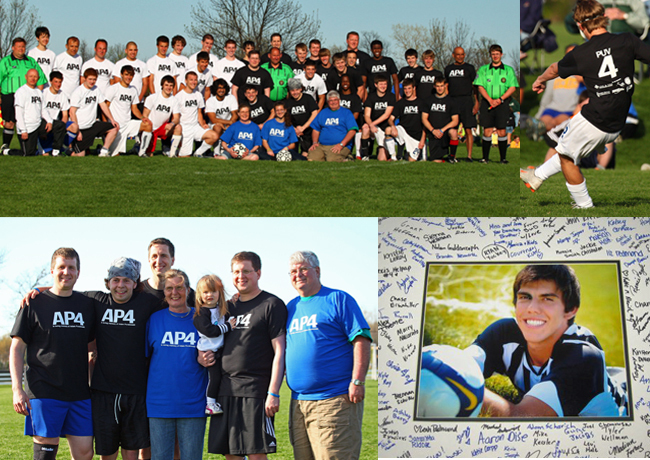 In his honor, family, friends and former teammates gathered to play in a soccer game, celebrate his life and raise money for the AP4 memorial fund. My brother-in-law Alex also played in the game (top right picture below). For more information and to see pictures from the game, visit http://www.ap4memorial.org/. On May 14, I walked in the Frankenmuth MS Walk with Team Amigo. Multiple Sclerosis is a cause I care about as I have many friends and patients with MS. 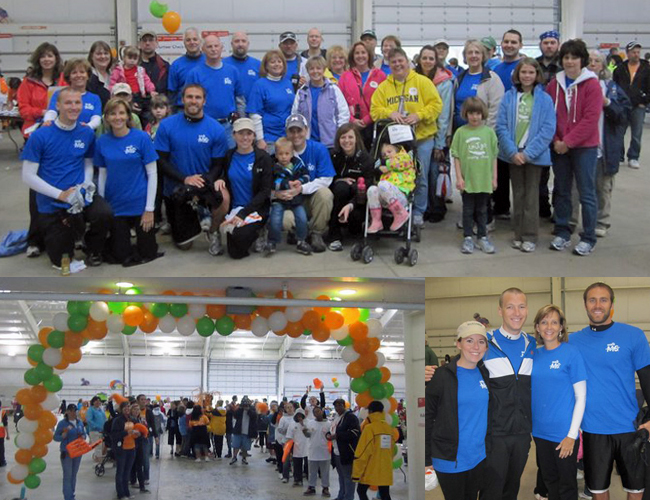 Although it was a rainy day, there was still a great turnout with more than 1,000 walkers for the 5K with $110,000 raised for the MS Society! Read about MS and nutrition here.